A ticket is required for entry to all social events and will be included in your registration pack. Monday July 2, 2018, Cherbourg City Hall. Tuesday July 3, 2018, Cherbourg Cité de la Mer and restaurant Le quai des mers. The Cherbourg abyssal aquarium, at 11 metres deep, it is the deepest aquarium in Europe, but apart from its amazing scale, it is also a life space full of colours. The nuclear submarine "Le Redoutable", the largest submarine open to the public in the world! A tour of the submarine will take you down into the bowels of the ship. 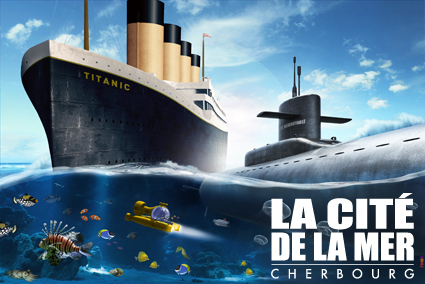 An exhibition that has its like nowhere else in France, "Titanic, return to Cherbourg", about the history of European emigration to the New World and about the legendary liner that called at Cherbourg on 10th April 1912.